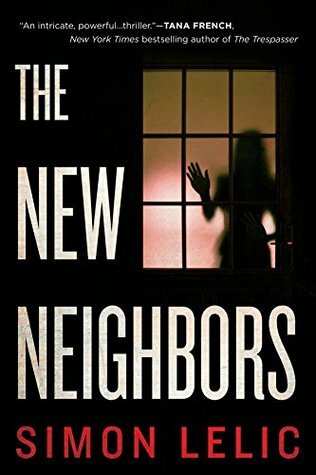 I need to read Gemina and New Neighbors is a review book. Even though you didn’t review at least you rated! I do have a review for the New Neighbors scheduled for a little closer to it’s release date. I hope that you enjoy it and Gemina when you get to them! I’m a big believer in taking books for what they are supposed to be and having fun with them – that’s what I enjoy about your blog! Happy Tuesday! Thank you! I hope you’ve had a good Tuesday, as well! I thought this one was better than Letters to the Lost (I wasn’t thrilled with the premise of that one either). I think you would like this one, though maybe not Love it. I can’t wait for Starry Eyes! 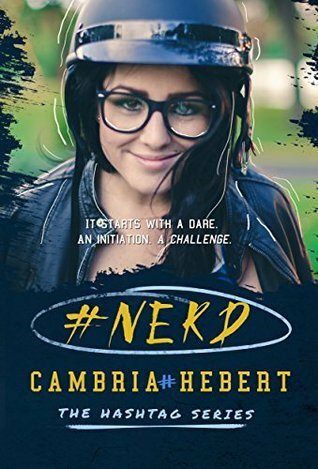 I loved Alex, Approximately so I’m super stoked for her new book. 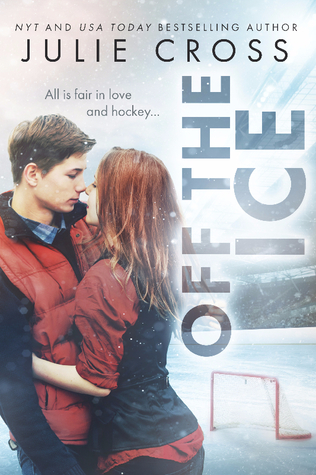 Also, Off the Ice was pretty good – definitely cute and you’re right about it being a tad bit graphic, but it was still a nice read! I look forward to hearing what you think of Starry Eyes! I think it was better than Alex, Approximately, so I think you’ll enjoy it. I’m glad you enjoyed Off the Ice, too! Good to know that you enjoyed Gemina! I need to read it at some point. I hope you enjoy it when you get to it. Might as well wait for the third book to publish, though, first so you don’t have to wait! This whole post is making me swoon! 2. I so want to read Starry Eyes!!! 3. LL’s book was so cute! I’m happy to hear you felt the same! 5. I agree about Gideon. I’m glad you liked it! I think you would probably like #Nerd more than I did. I definitely think you will enjoy Starry Eyes! So cute! 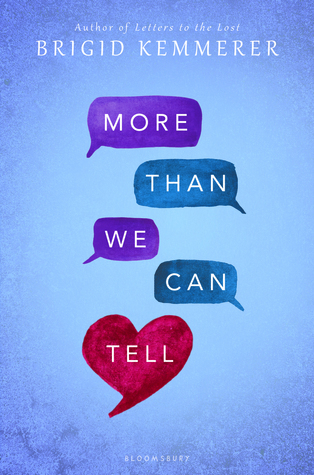 I think you liked Illuminae more than I did, and I thought Gemina was better than that, so I think you will like it too. Reading Gideon’s story made me really anxious for Cracked Kingdom (do you have an ARC for that? I signed up, but haven’t heard anything yet, so I was wondering if I just didn’t get approved or if they haven’t done them yet). I think you would enjoy Off the Ice more than i did, too. I don’t yet. I signed up for it, though. I’m guessing some time this upcoming month it will come out. Such great reviews! I’ve been meaning to read A Million Junes… Good to know I’ll have to brace myself for the weird factor. And I still have to read Gemina, although I’ll probably wait until the series is finished. Thanks! 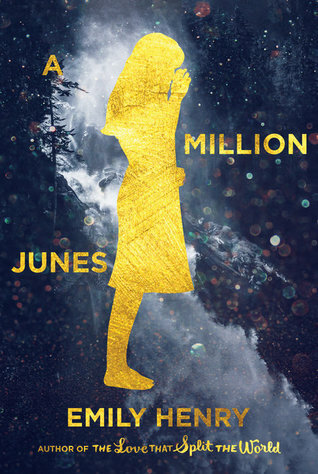 Yes, know that A Million June’s get weird and I think you’ll like it. And it’s probably a good idea to wait for Obsisio to be published first. I like not having a wait. 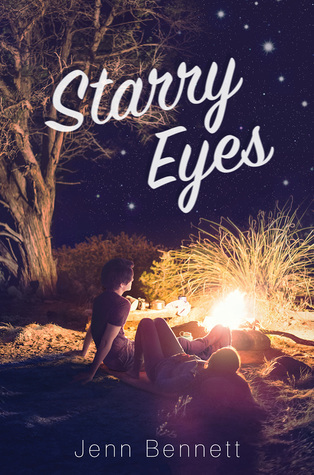 I can’t wait to read Starry Eyes! 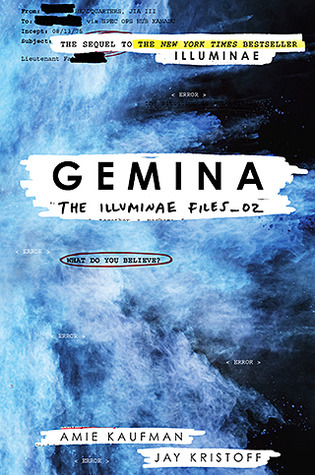 I liked Gemina better than Illuminae but I wasn’t sure if it was because I read it and didn’t listen to it. It was so hard to listen to. I can wait for Obsidio. I really like Lauren Layne books too. I thought An Ex For Christmas was so cute. 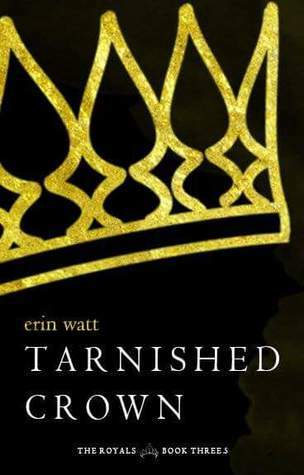 I have had a hold on Erin Watt’s first book in The Royals series forever! I think you will like Starry Eyes! I can’t imagine trying to do those illuninae books by audio. I think the formatting and graphics are the best part of the books! I look forward to hearing what you think of the Royals series. They are drama, drama, drama and not my usual cup of tea at all, but they’re addicting! Yeah, I don’t get the Aidan love haha. I think because that POV felt kind of like a way to cheat the unusual formatting they had going on.